This is the second of two videos, this one in vintage Super 8, that we created that highlight the Elegant Affair at The Inn at Wild Rose Hall. If you missed the HD video, see it here. 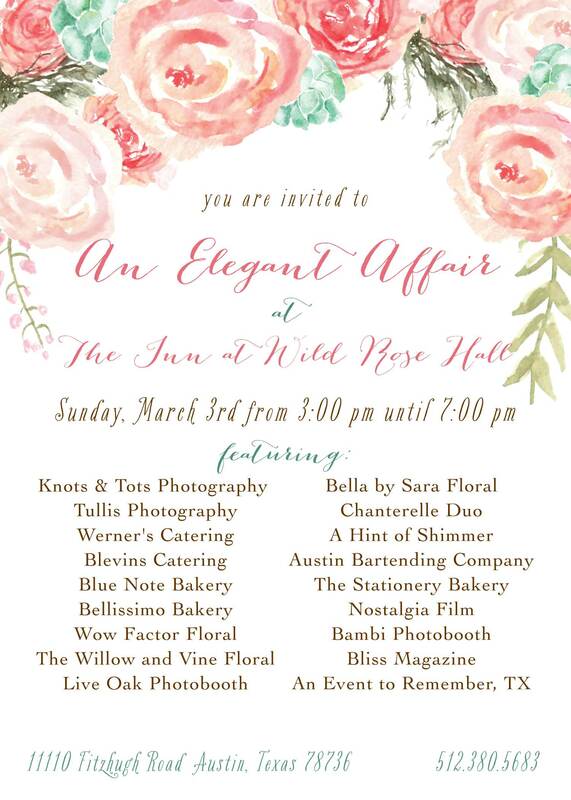 Come & experience the elegance of The Inn at Wild Rose Hall, and chat with some of Austin’s Elite Wedding Professionals! Sunday, March 3rd, from 3pm-7pm.